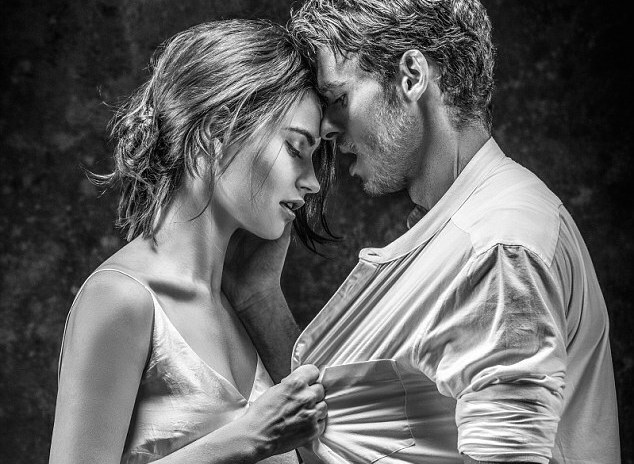 Home » Branagh Theatre Live: Romeo and Juliet Review! Branagh Theatre Live: Romeo and Juliet Review! Shakespeare is fascinating in the different time periods revealing something of the characters and forms (a musical like West Side Story). In this case, the Kenneth Branagh co-production, is filmed in black and white to bring a film noir quality. The starkness of the film is shown in the white dress of Juliet, the debonair white suit of Derek Jacobi’s Mercutio, and the dark suits of the other characters. The theatrical show is directed by Rob Ashford and Kenneth Branagh at the Garrick Theatre in London. The film direction is by Benjamin Caron. The three of the actors were from Branagh’s film, Cinderella (2015); Lily James who played the title role and was just in Pride and Prejudice and Zombies, Richard Madden who played the prince and also Robb Stark, as well as Jacobi who was the king and Professor Yana in Doctor Who. It was interesting to see James and Madden continuing as a couple, here they don’t disappoint playing the most famous romantic pairing. What is interesting is the comedy that Lily James brings to the role, in the balcony scene, Madden’s Romeo is waiting for Juliet to speak and she’s busy chugging down a bottle of wine. Branagh in the introduction explained that he read about an older, wild person in letters that turned out to be Oscar Wilde which led to his casting of Jacobi as Mercutio. Jacobi has the charisma for the part, but I don’t see the wild anger of the youthful part. He also noted that Madden had a leg injury two days ago and recovered enough to play the part. Also of note is the nurse, Meera Syal, always funny, and Jack Colgrave Hirst (Benvolio) who is the foil for Mercutio. The interesting part is the characters angrily yelling in Italian (sometimes for comic effect) which keeps the feel of the setting. The sets are columns that are dropped or lifted as scenery, but this doesn’t bring versatility of a set, you have to use some imagination there. Brilliant production, Four Daggers out of Five!